It has now happened in The Bahamas on May 10, when voters ejected the ruling Progressive Liberal Party of Perry Christie, who had served as the country’s prime minister since 2012 and who held power again between 2002 and 2007. The nominally center-left PLP faced the wrath of voters angry about rising economic and social problems that have worsened — not abated — under Christie’s government for the past five years. Across the Caribbean region, as tourism revenues have been depressed since 2001 and, especially since the 2008-09 global recession, and as crime, corruption, unemployment and public debt are rising, governments have struggled to respond to pressing issues due to the fiscal constraints demanded by bond markets — and in some cases, directly under financing packages from the International Monetary Fund. The Bahamas, an island country of around 388,000 people, is relatively wealthy by Caribbean standards, with a GDP per capita of $24,272 (per the 2016 IMF calculations), far outpacing Barbados ($16,363), Trinidad and Tobago ($15,342), Grenada ($9,585), the Dominican Republic ($7,159) or Jamaica ($4,931). But like its relatively poorer neighbors, it’s watched as public debt has more than doubled since 2008, which now stands at around 90% of GDP. Last December, Standard & Poor’s downgraded Bahamian debt to ‘junk’ status amid bleak outlooks for economic growth. The much-heralded Baha Mar tourist resort, a key project of the Christie government, bankrupted in January 2016, though the new government pledges it can bring it back — along with the tourism that has eluded the country for nearly two decades. Locals were also angry that the Christie government permitted Chinese financiers to bring Chinese laborers to help build the resort. 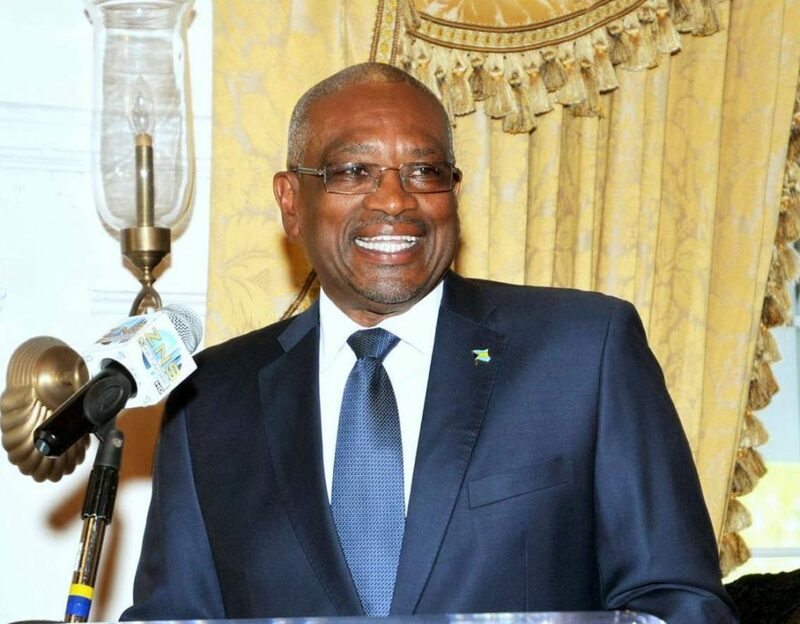 The new Bahamian prime minister, Hubert Minnis, is an obstetrician-gynecologist and relative newcomer to politics, elected to the House of Assembly only in 2007. By contrast, until Christie lost his seat in Centreville last week, the former prime minister had served continuously for 40 years. 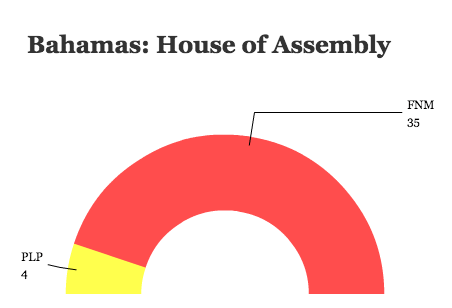 All but four PLP legislators lost their seats in an unexpectedly strong rout for the nominally conservative Free National Movement (FNM), which won 57% of the vote, compared to just 37% for the ruling PLP. Minnis and the FNM attacked Christie’s failure to reduce violent crime and unemployment on the island, but they also attacked the entrenched Christie as a run-of-the-mill politician, campaigning not only as a fresh change for Bahamians, but on policies like campaign finance reform and term limits for prime ministers. Candidates in the Bahamas, unlike in the United States, are not legally obligated to report the identities of those who finance their campaigns. He’s already announced the new cabinet. For an island nation that held its first democratic election in 1729, the results were the most lopsided in recent history and certainly since the Bahamas gained full independence from the United Kingdom in 1973. Minnis previously served as the health minister in the cabinet of former prime minister Hubert Ingraham, who lost the 2012 election to Christie’s PLP. Though Minnis was elected opposition leader almost immediately after Ingraham’s loss, he struggled to maintain his hold on the party. With just months to go until Bahamians were set to go to the polls, Minnis temporarily lost control of the FNM leadership. From December 2016 to May 2017, Loretta Turner-Butler, a mortician who wrested the title of opposition leader away from Minnis. Earlier this month, however, Minnis and his allies retook the leadership, forcing Turner-Butler out of the party. (She ran as an independent and won less than 300 votes). The FNM infighting made it seem earlier this month that, perhaps, it was a party more ready for implosion than government. Though the FNM’s victory wasn’t out of the question, the scope of its victory came as a surprise — most of all to Christie, who claimed in April that ‘not even God’ could stop him from winning the election. Instead, Christie — the PLP’s leader since 1997 — stepped down over the weekend, announcing his retirement from politics. The populist Democratic National Alliance, which won 8.5% of the vote in the last election, lost some of its steam in 2017, falling to 4.7%. I was there. I was fun to watch. The people were nice to me but furious at Christie. I forgot to add….the media totally ignored this election for some reason. Just the Miami Herald and local papers down there.